Have you considered getting your teeth whitened, but just aren’t sure yet? Having your teeth whitened can be a very effective way of lightening the natural color of your teeth without removing any of the tooth surface or damaging it. As we get older our teeth get darker, this is partly due to aging, but it is also caused by what we eat and drink and by other habits such as smoking. Tea, coffee, red wine and other foods that have strong colors can have an effect on the overall color of our teeth. Teeth may also darken as a result of some antibiotics. The good news, though, is that you can have these discolorations practically erased with professional teeth whitening. Professional bleaching is the most common method of tooth whitening. We will assess you first to see whether teeth whitening is suitable for you. Though professional whitening is extremely effective, it is really only used for patients with extrinsic stains. These stains are on the surface of the teeth and have not yet penetrated the enamel. Extrinsic stains are associated with coffee drinkers, smokers and the elderly. Intrinsic stains, on the other hand, develop from the inside of the teeth and are not reversible through whitening alone. After your consultation, our team will tell you about the options you have for teeth whitening and which will be the most suitable for you. 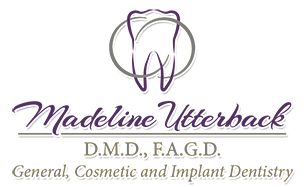 The most common type of whitening is a doctor-monitored, take-home custom tray system. Custom trays are created and made to specially to fit into your mouth. The whitening gel is then put in the trays, and you will be given a routine to follow at home. There are also in-office procedures that can whiten your teeth up to 6-10 shades in less than an hour. There are many different in-office whitening systems, so make sure to speak with us during your consultation to discuss which whitening options are best for you. Why should I go with a Pro? While home kits are less expensive, they are not always assessed for safety and tend to be more acidic. There is a chance that these products could damage your teeth and gums. Professional teeth whitening takes out the guess-work you would use standing in the drug store, purchasing a product that may or may not damage your teeth. The effects of professional whitening are thought to last up to three years, much longer than any over-the-counter products. However, this will vary from person to person and the effect is less likely to last as long if you smoke or eat or drink products that can stain your teeth. Yes! The active ingredient in the whitening product is usually hydrogen peroxide or carbamide peroxide. As the active ingredient is broken down, oxygen gets into the enamel and dentin of the teeth and the tooth color is made lighter. This is all done without damage to the teeth or, more importantly, the enamel of the teeth.